Edith Alanis moved to the United States from Mexico when she was seven years old. Her mom graduated from the equivalent of high school in Mexico, but she was not allowed to further her education beyond high school. Edith’s dad joined the workforce after only a third grade education. Edith and her twin sister went through the American school system starting in first grade. Because their parents were unfamiliar with the system here, they had to figure things out as they went, relying on the help from advisors and counselors. After high school, Edith started college at Ivy Tech as an exploratory major. She started out at Ivy Tech as a 21st Century Scholar trying to figure out what she wanted to do before going to a larger campus, such as IUPUI. She always had an interest in pursuing a career in the medical field. 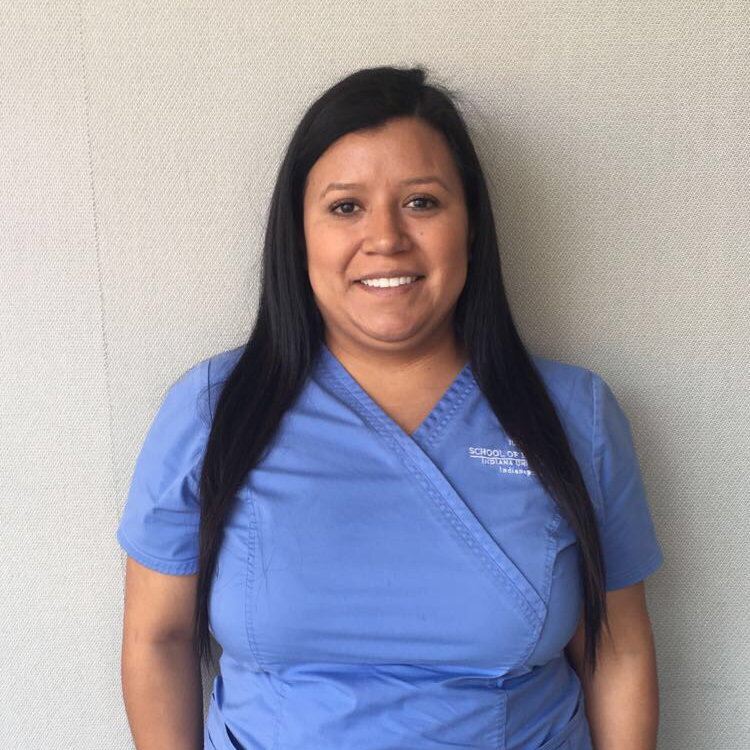 Edith’s sister-in-law was a dental assistant, so at Ivy Tech, she decided to pursue an associate degree as a dental assistant. Edith’s advisor at Ivy Tech felt that Edith was a bright student and could pursue a more difficult path, dental hygiene, which was not offered at Ivy Tech. That is when Edith decided that dental hygiene and IUPUI was for her. As a first-generation college student, Edith faced more obstacles than the typical college student. When she first transferred to IUPUI, Edith’s grandmother back in Mexico began to struggle with her health. She felt helpless being so far away from her grandmother, who was a mother figure early in her life. Edith had a hard time focusing on school during this time, but knew her grandmother would want her education to come first. Edith was accepted into the competitive dental hygiene program in fall of 2015 and is on track to graduate in May 2017. After being accepted into the dental hygiene program, Edith was awarded the IUPUI Regatta Scholarship by the Indiana University Alumni Association. She was asked to speak at a dinner for the scholarship, where she shared her story. Edith is also involved in the Student American Dental Association (SADA) and volunteers as an interpreter at outreach clinics. I cannot believe how far I have come. . . . you have to stay positive.